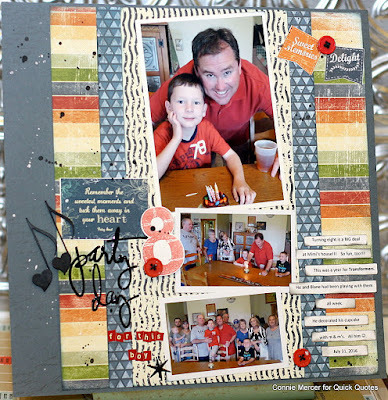 Blog Quick Quotes: Inspiration Two Ways with Connie! 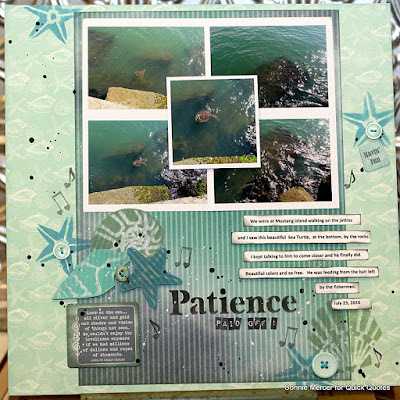 Inspiration Two Ways with Connie! 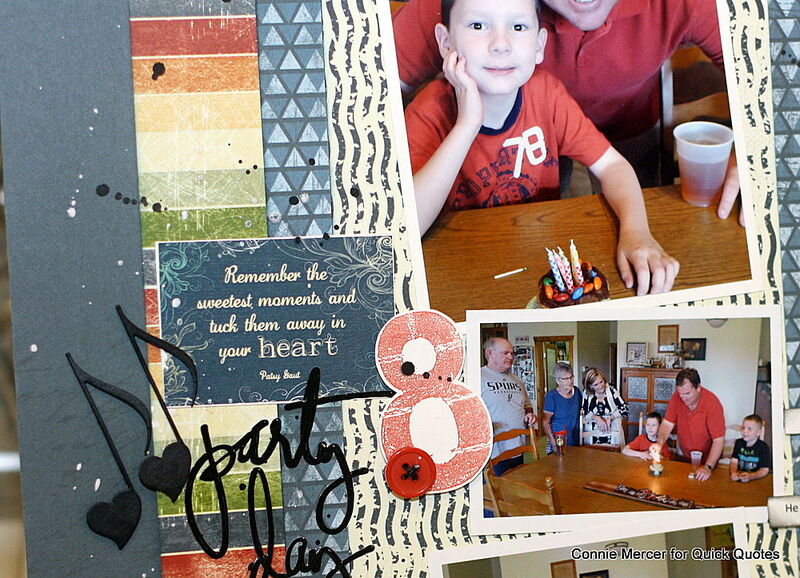 Hi, Connie here with a couple of scrapbook pages to share with you. 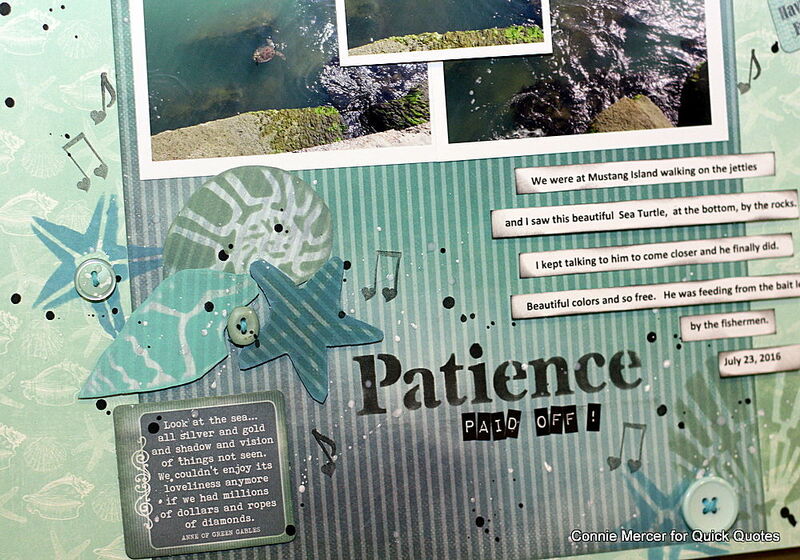 The first one is using Urban Oasis, Quick Quotes PowderPuff Chalk inks and the cutest boy ever. 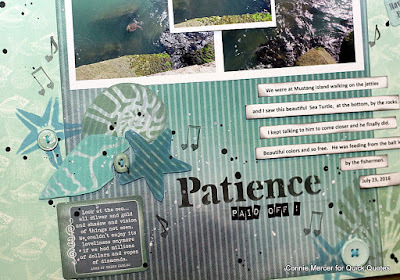 I layered different patterned papers from the Urban Oasis Collection and inked the edges of the papers. Embellishments and stickers were added to the page. Other: Darkroom Door stamps, Tomboy adhesive and stickers. The second scrapbook page was created using the Anchors Aweigh Collection. I have enjoyed creating with this collection. Anything close to the water, I enjoy!!! I used stencils and PowderPuff Chalk inks to create the embellishments that were used for this page. So easy, just stencil the design and then cut it out and shade. PowderPuff Chalk Inks: Blue Lagoon, Seafoam, Aqua, Seabrook, Midnight Confessions.